So, you are ready to start a business and excited to go. You execute your plan and work tirelessly to grow your business. Being financially organized can greatly reduce the amount of stress you feel when starting or running a business. You have enough to think about during this process. The last thing you want to think about whilst running a business is where to find important documents or figure out how much you’ve spent on advertising. An expert financial consultant can help you learn and understand what your financial and tax obligations are. And also how to read and use reports and KPIs (key performance indicators) to effectively manage your business. Whether your business is a small one or a corporation, it’s important to be aware that your business finances should never be commingled with your own funds. When you use the same bank and credit card accounts for personal and business use, it can become difficult to keep track of and separate them. 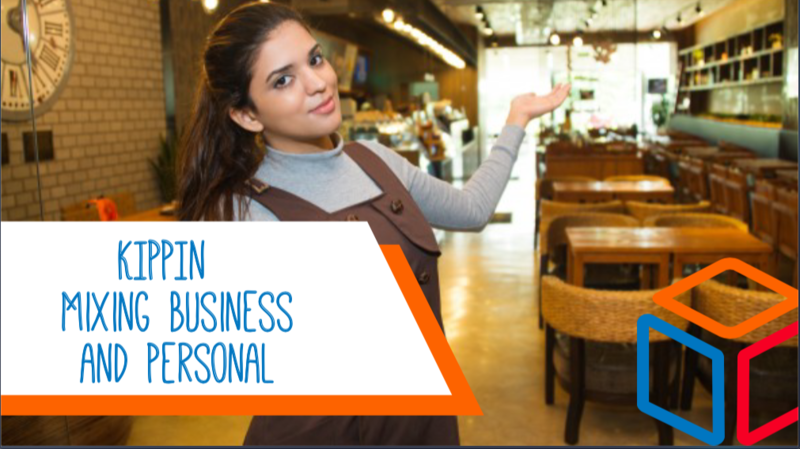 Even a sole proprietor reports the income and expenses of their business on a separate form. If you commingle accounts, you might miss out on potential deductible expenses for your business if you use your personal account and forget to document the details of your purchase or the source of a particular deposit. It’s much more difficult to keep track of what’s personal vs. business when all of your transactions are in one account. Many businesses pay utilities and other expenses to the same companies as residential or personal customers. 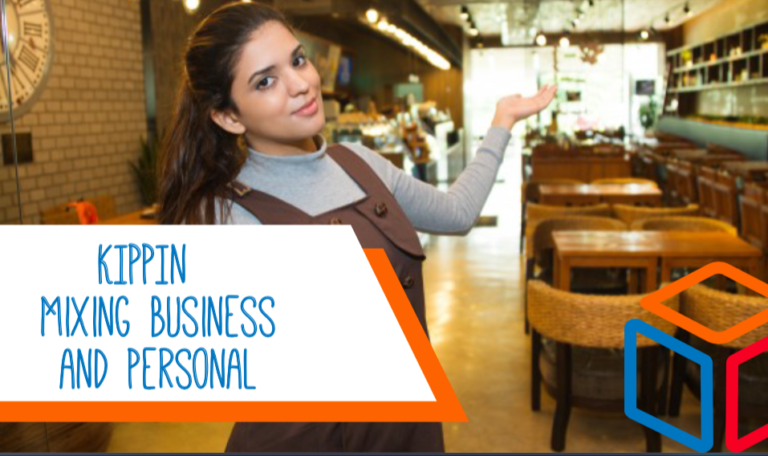 If you are paying both out of the same account, it can require some effort to separate out which one is for business-related versus personal. Set up and use an accounting program like KIPPIN’s accounting as a service package to keep track of your income and spending. Having an expert guiding you through this process can save you time, money, and anxiety. They’ll help you avoid mistakes and create workflows that work best for your business. Create a business-only space to work in your home. Even if your business has its own separate location, you’ll likely be working on business finances in your home. Find a place in your home that will be dedicated to working on the business. This could be a home office or simply a table or desk that you use only when working on the business. This will help you set boundaries between business and personal activities and reduce the likelihood that commingling will occur. Data Storage. KIPPIN’s personal data store provides you with a secure place to store your data. Their storage is tightly coupled with their accounting module thus allowing for seamless integration and attachment of receipts to financial statement items. Their storage is also accessible from anywhere as their solution is fully cloud-based. This allows them to reduce the amount of paper in your office or workspace and the amount of time you’ll spend filing. You can also easily share documents with partners, employees, or others. 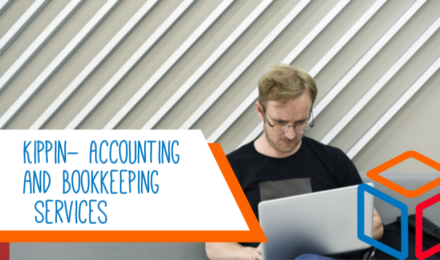 You might be capable of doing many of the bookkeeping and accounting tasks on your own. But if you feel unsure about what to do, find a qualified accounting professional like KIPPIN’s accounting service. In fact, you should consider working with an accountant even if you are confident in your bookkeeping abilities. A recent study showed that small businesses were 89% more likely to succeed beyond five years when they worked with an accounting professional.